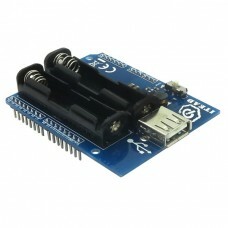 The Power Shield fits on top an Arduino or compatible to provide a convenient battery power solution. This shield takes two AAA batteries and steps up the output to 5V at up to 350mA. The power boost circuitry operates at up to 90% efficiency so your batteries last longer. Power is supplied to the Arduino or compatible microcontroller via the standard 5V power pin and is available to external devices via a USB connector. A power switch and LED indicator provide additional convenience. 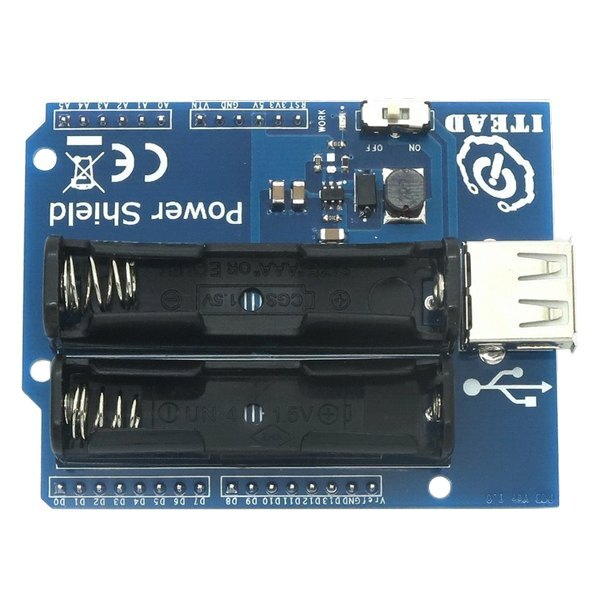 The Power Shield is a handy power supply to have in your Arduino robotics toolbox.